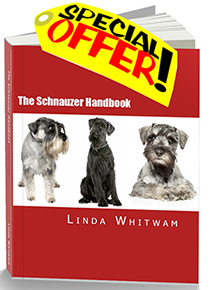 Look no further for Schnauzer Tshirts if it's quality you want! We have searched all over the world and found these beauties from Vincent Strangio. They are the absolute BEST photographs of Schnauzers (and other dog breeds) on Tshirts you'll find ANYWHERE. Vincent takes all the photographs himself and uses a state-of-the-art printing system for these Schnauzer Tshirts. They do NOT peel, fade or crack. 3 more bonuses: they also make custom Tshirts with a picture of your own dog on, there's a 100% money-back guarantee and THERE's A SALE ON......what are you waiting for? !PopShops™ affiliate storesPS I'm planning on getting one with Max's photo on...he'd love that!